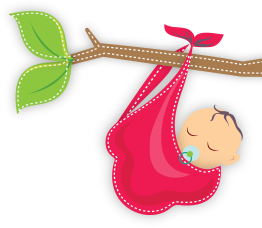 A new baby fills your life with joy, excitement and the unknown. From day one, you will make daily decisions to protect your child. Vaccinating your child is one of the most important decisions you’ll make. So ‘why should I vaccinate my child?’ is a good question. Serious diseases are still out there! You may not see serious diseases in your neighborhood, like your parents or grandparents did, but these diseases still exist. Ask older family members to share their stories when they were young. Today, we are protected because of child, teen and adult vaccines. If we stop vaccinating, the diseases return. We live in a world where travel is part of our everyday life. While we do not have polio in our country, many countries still battle it and many other diseases. Vaccines for children protect them against disease, no matter where they may be. Vaccines are a safe, proven choice. The United States’ vaccine supply is safe and effective. Children’s vaccines are put through strong testing before they are approved and given to children. Scientists and doctors carefully look at all the available information about a vaccine to determine its safety and if it will work to prevent illness. Childhood immunization updates are changed as new information and science becomes available. While your child may experience discomfort or tenderness at the site of the vaccination, it is minor compared to getting sick. Nearly all children can be safely vaccinated. There are some exceptions, including children with allergies to something in a vaccine, those with weakened immune systems or a medical treatment. Your doctor can talk to you about these risks. Immunization schedules provide the best protection! Your doctor tells you to take all the antibiotics he or she has prescribed even if you are feeling better. The same goes for childhood vaccinations. To be fully protected, your child needs all doses of the vaccine according to the recommended immunization schedule. Not receiving the full number of vaccines leaves a child vulnerable to becoming sick. Check with your child’s doctor if you have questions about which vaccines your child needs. Immunization records are just a click away! If you change addresses or you change doctors, your child’s vaccination history is still available! 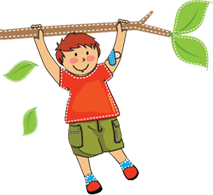 Immunization records for children are part of the New York State Immunization Information System (NYSIIS). Make sure to ask your doctor if they are entering your child’s vaccinations into NYSIIS! Vaccines mean less sickness and fewer missed school and work days. No parent wants their child to be sick. Childhood vacinations will prevent diseases that can result in your child missing time away from school. When they are sick, you may also need to use your own sick or vacation time to stay home with them. The medical bills can also be very high and stressful on your family. Child vaccines protect your child and your family. When you vaccinate your child, you protect other children. When you vaccinate yourself, you protect your loved ones, parents, grandparents, aunts and uncles. When your family is vaccinated, you protect your neighbors, coworkers and friends. Some children and adults may have a medical reason why they cannot receive vaccines. When you vaccinate yourself and your family, you are protecting others as well. Share this protection with everyone! Would you like an immunization schedule just for your child? Visit the CDC’s Instant Childhood Immunization Scheduler to create a personal schedule of when your child should receive each vaccine. Download this fun children’s coloring book that teaches your child the importance of being vaccinated! 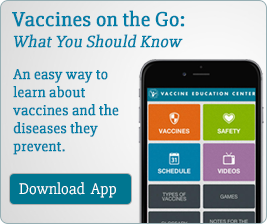 This interactive e-book provides detailed information on the recommended vaccines for your child.